Enjoy a fantastic Christmas getaway with festive magic, delicious food, christmassy cocktails and fun! Please note: Christmas Package Break is non-refundable after 1st December. Bath is a fascinating city, seeped in history from the Romans to the Georgian’s - it is a living museum! Alternatively, the Bath of today is a fascinating mix of cultural events. The city offers one of the most vibrant programmes of festivals and events in the UK, embracing literature, music, film, fashion and food. 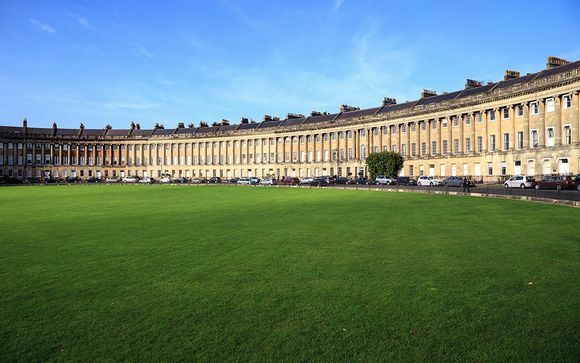 There are also many great locations nearby, such as Bath Abbey (2.7 miles), The Holburne Museum (2.7 miles) and the Royal Crescent (3.6 miles). As you would expect, both shopping and dining in the city are also exceptional. We recommend you seek out the great independents to be found on the eclectic side streets: Bartlett Street, Walcot Street and Margaret’s Buildings. Combe Grove is a great place to stay, dine and relax. 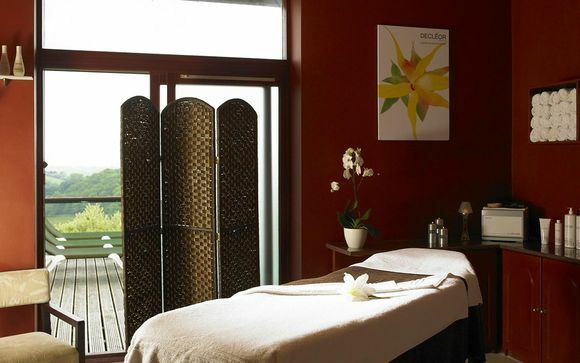 Set in 70 acres of peaceful woodlands on the edge of Bath, you'll enjoy far reaching views. The main house boasts eclectic interiors, a swanky new cocktail bar and restaurant, with food created by one of the most talented young chef’s in the South West, Leigh Evans! There are also extensive leisure facilities for guests to use and enjoy, along with running trails, walking routes and cycling maps. Panoramic views unfurl from the main house [...] It's a lovely rural spot: you might spot rabbits or even deer in the grounds. The centre of Bath is a 10-minute drive away. 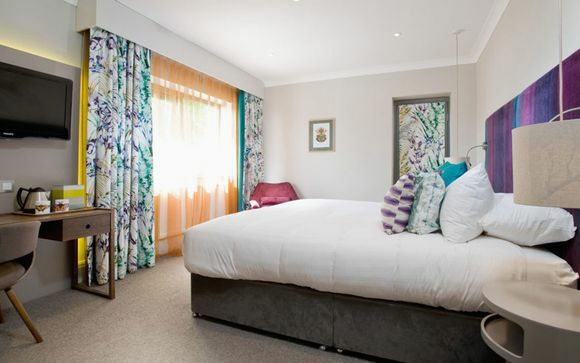 This offer is based on a Valley View in the Garden Lodge, Garden Lodge Room with Balcony/Terrace or a Manor Deluxe Room. Valley View in the Garden Lodge. 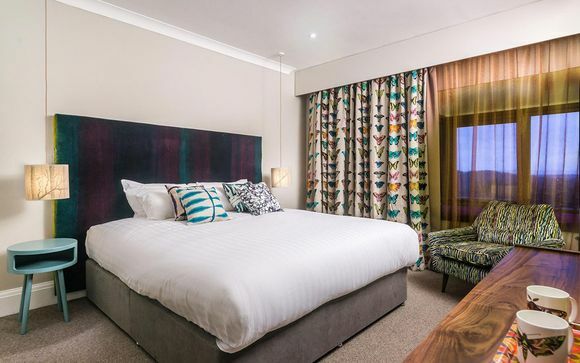 All rooms offer peace and quiet, comfy beds and added extras to make the process of winding down and nodding off as easy as counting sheep. 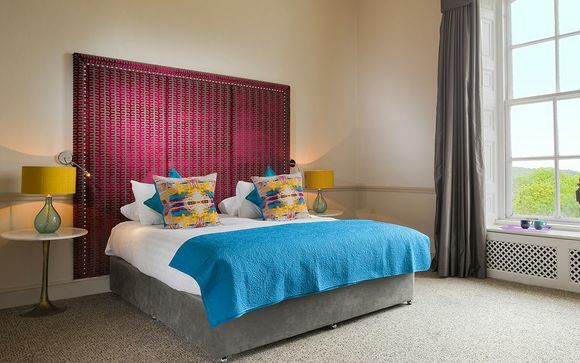 Accessible by steps, Valley Rooms enjoy outstanding panoramic views across the grounds and the valley beyond, towards the Westbury White Horse. Garden Lodge Rooms with Balcony are set against the woodland with far reaching views out over the Limpley Stoke valley. With a lovely balcony, these rooms literally bring the outside in. Enjoy many modern conveniences, including an en-suite bathroom with bath and shower. Garden Lodge Room with Terrace. The breath taking views from your terrace evolve with the seasons, whenever you visit there will always be a stunning outlook and plenty of wildlife to spot too. These rooms have fantastic en-suite facilities with a shower. The Garden Lodge Rooms are a short walk from the main house; the team are on hand to help and only too willing to assist with luggage, deliver a 6pm G&T, emergency brolly or late night supper! Manor Deluxe Room. Located in the main house, these rooms are spacious and offer inspiring views out over the valley, that are truly breathtaking. The traditional features of a Georgian property are complimented by eclectic new interior designs. All rooms have sleep inducing sumptuous king sized beds, lovely amenities and wifi. Combe Grove is so much more than a hotel; with 70 acres of outdoor space providing endless options for exercise in the open air. The leisure club offers an extensive programme of activities, classes, a fitness suite and dance studio or you can just take yourself off and find a quiet space to clear your mind. With a wide range of facilities on offer, you're sure to find an activity you enjoy. If sport is not for you, why not explore the woodlands or go for a calming swim in the lovely pool. Please note: opening times will be limited from 24-26th December.